Luxurious bohemian brocades blending into the clouds of sueded greys... 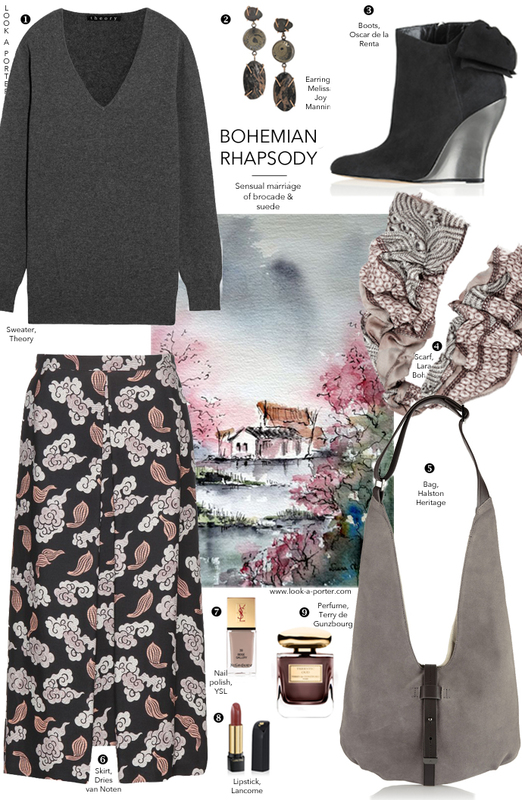 Combining two hottest Autumn/Witer 2015 trends in one single outfit has never felt so good... And I have to mention the textures because I adore a mix of suede and cashmere - so sensual, somewhat provocative to others and comforting - for the one who wears it. Аааах....!!! Как же хорошо сказали,Наташенька:".....somewhat provocative to other and comforting-for the one who wears it"!! !